We're about seeing young people's lives changed by Jesus. Our mission is to take the Good News relevantly to every young person in North East Scotland. From Elgin to Montrose, and the Shetland Isles, we work directly with young people in partnership with local churches. We are a chartered local centre of British Youth for Christ, one of Britain's most dynamic Christian organisations dedicated to tackling the big issues facing young people in our society today. Our main focus for the last few years has been in the Tillydrone/Seaton area of Aberdeen, working in the schools and neighbourhood in partnership with other churches and charities. For an update of this work, and how it is bearing fruit, please see our latest newsletter. Please take a look around to find out more about us, how you can take part and how we can help you; if you'd like regular updates on our ministry please join our mailing list. Brothers and Sisters in Christ. We need more volunteers of all ages to help behind the scenes with the various tasks involved with running this ministry. Can you spare a few hours a month? North East Scotland Youth for Christ have been both blessed and privileged to be a part of the growing multi team ministry which is coming together as one body in Christ to follow His example and reach out to people where they are and particularly in Tillydrone and Seaton. 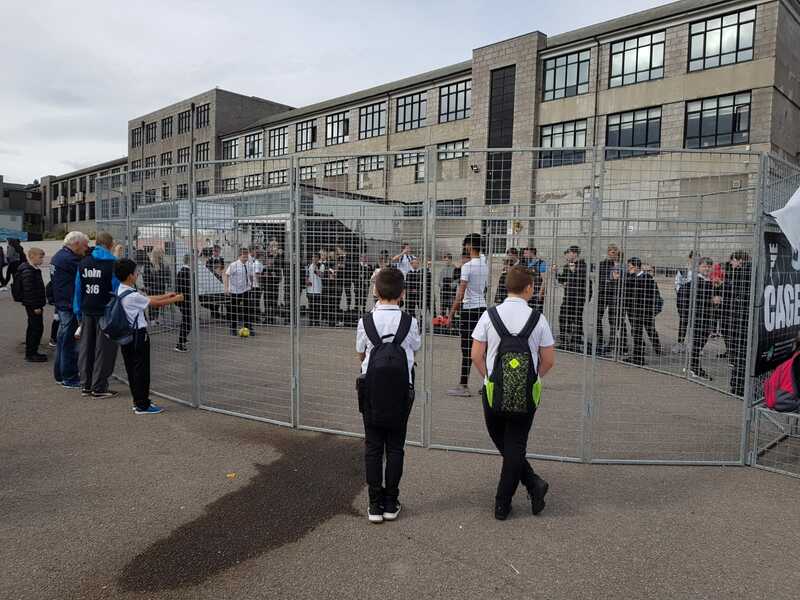 As you may know, we had a full time Youth Worker Curtis Sangbarani working with the young people of Tillydrone, St Machar Academy and to a lesser extent Seaton. The work included football coaching of the Riverbank Primary School Football Team, school pastor at St Machar Academy, befriending at Riverbank Primary School, Transforming Lives for Good at Riverbank Primary School, Cage football, discipling young people, helping out at the Mission and Lighthouse etc. We have seen that work impacting on young people in a positive way. See our latest newsletter link on home page. Now that Curtis has moved on to be part of another ministry on the south side of the city, we will be recruiting a replacement Youth Worker in the early part of 2019 with an advertisement being published around the middle of January. However, North East Scotland Youth for Christ are still at a critical stage in our ministry regarding the manpower required behind the scenes to support and develop the front end work in Tillydrone and Seaton. At the moment it is difficult for us to see how the ministry can develop if we do not get more people on board. The work is being blessed, but there is much more we could be doing with more help. 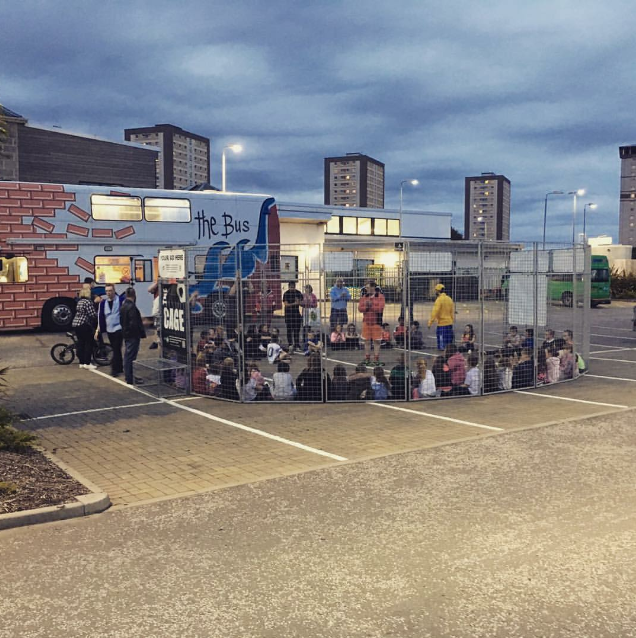 The Cage is in action at Seaton Primary Car Park in partnership with Seaton Community Church and the Outreach Bus project, every fortnight on Monday evenings, during the winter months. Also at St Machar Academy after Easter until the October break in term time. and other events like Fusion at Deeside. We urgently need more team volunteers to prevent events being cancelled, so please consider whether you can help out, and pray that the team get a good response from young people as they take the Cage out. See Outreach section at top for more detail. Our latest newsletter is out - catch up on all things North East Scotland Youth for Christ here. All over the UK, children are struggling in school for all kinds of reasons and many families are suffering without hope. The effects of bullying, bereavement, family breakdown, poverty or being in the care system can have a huge impact on a child's education. The associated bad behaviour can lead to them being excluded for school. Some children may be struggling with a lack of confidence, have no positive role models, or just need an adult to talk to. TLG Early Intervention provides a practical solution to support children, families and schools in their community. They intervene at the crossroads to bring support, care and education to make sure that children have a hope for the future and that their life is not over before it’s even started. This may be through a volunteer offering one to one help to act as a mentor, right through to intensive support of young people and their families that have been excluded from school.